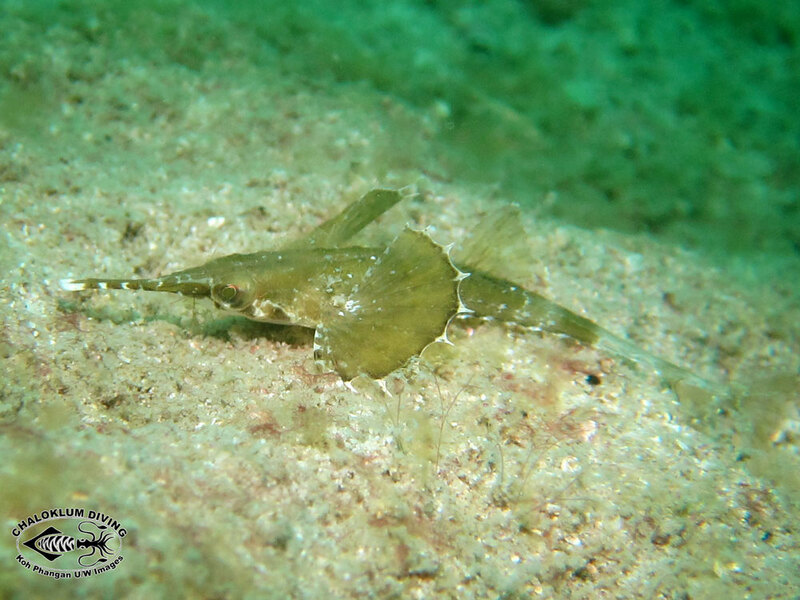 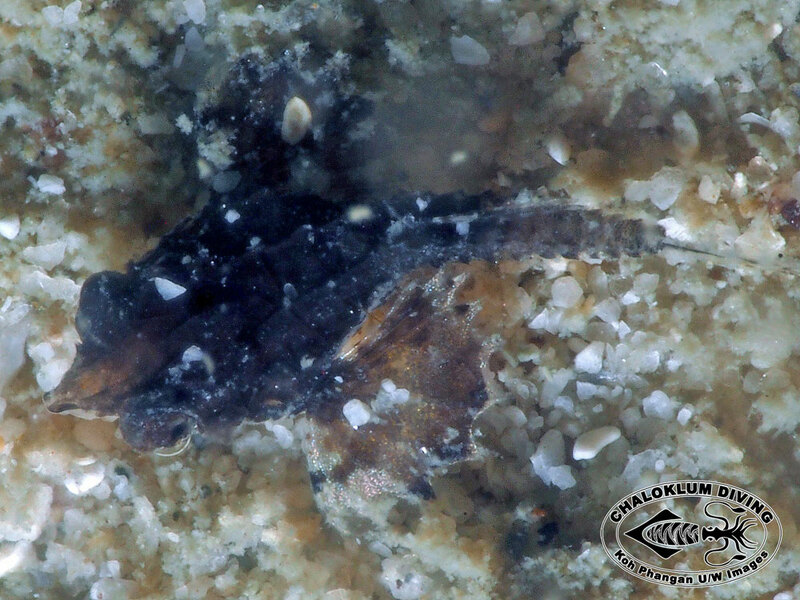 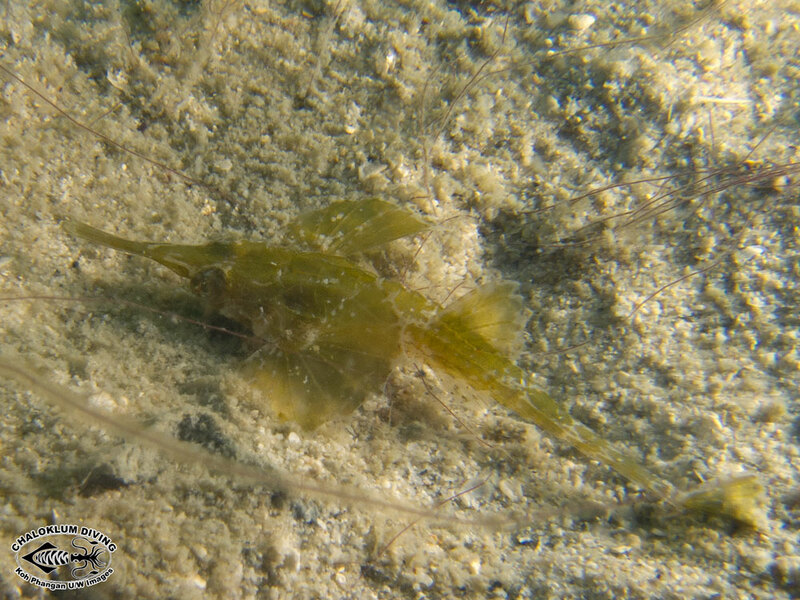 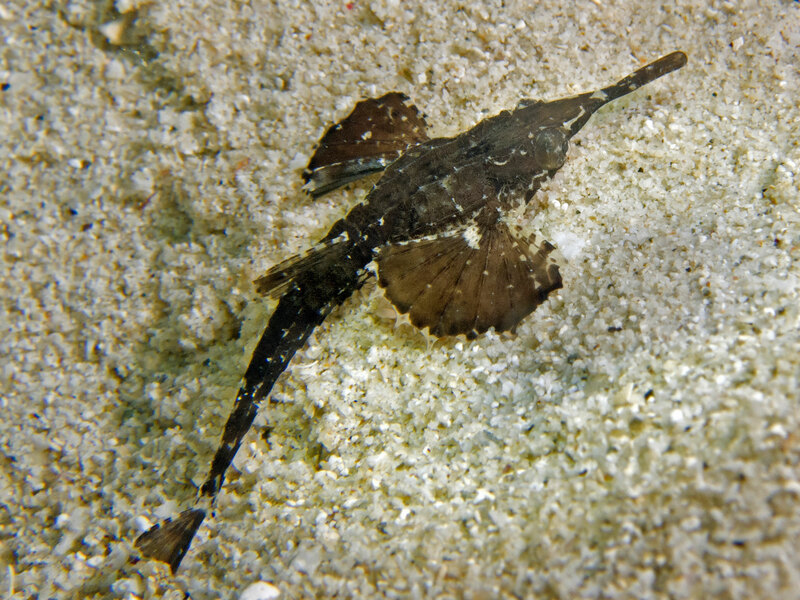 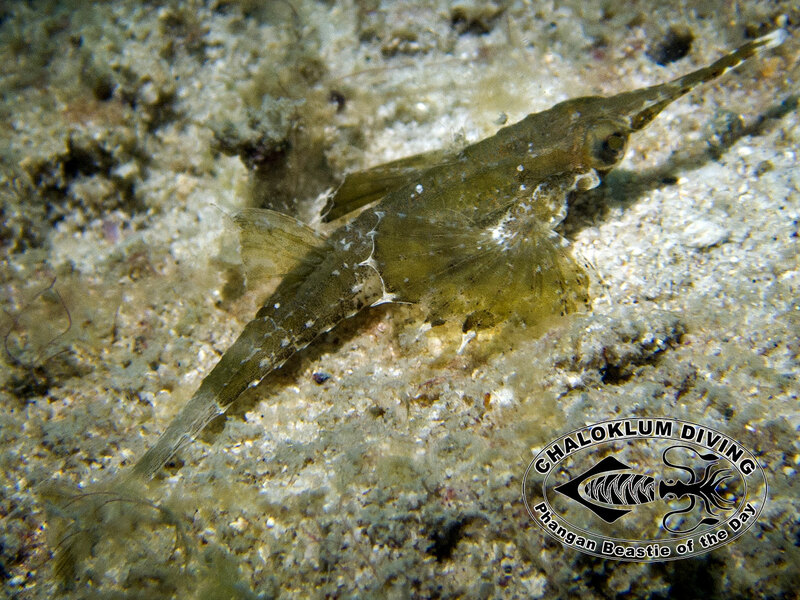 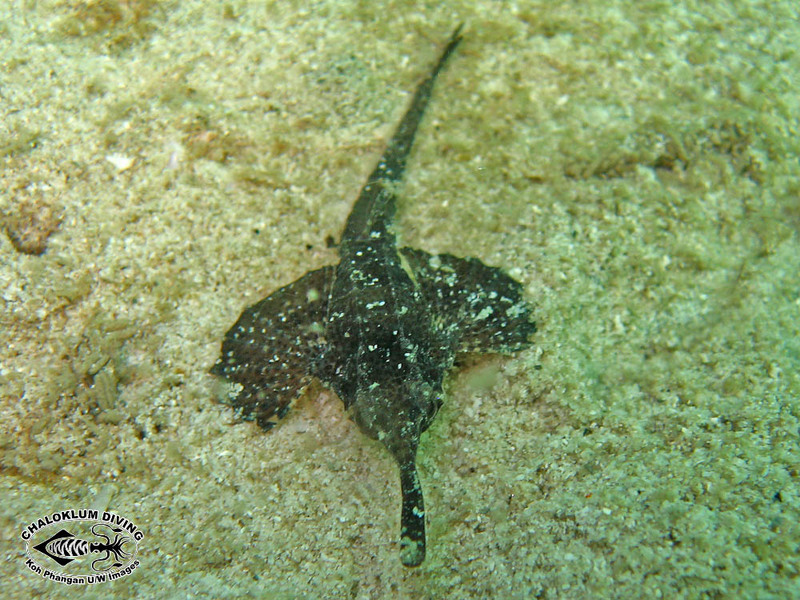 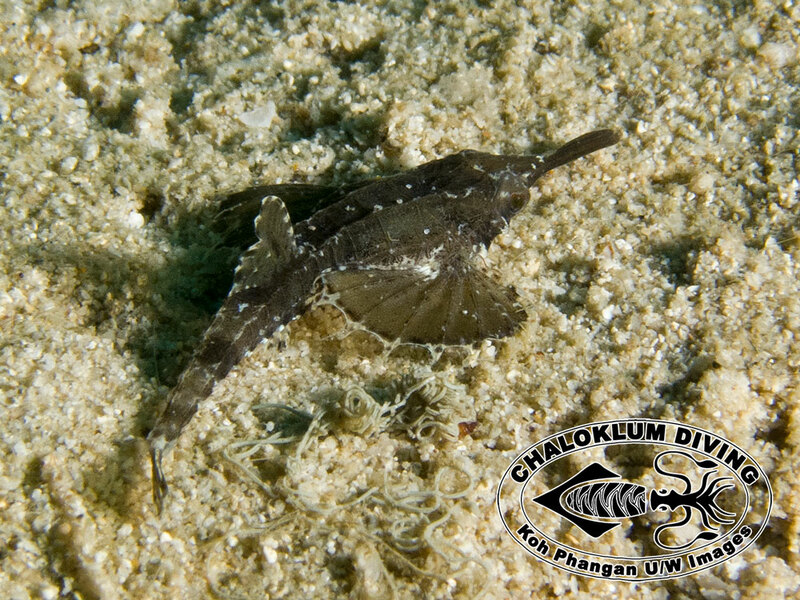 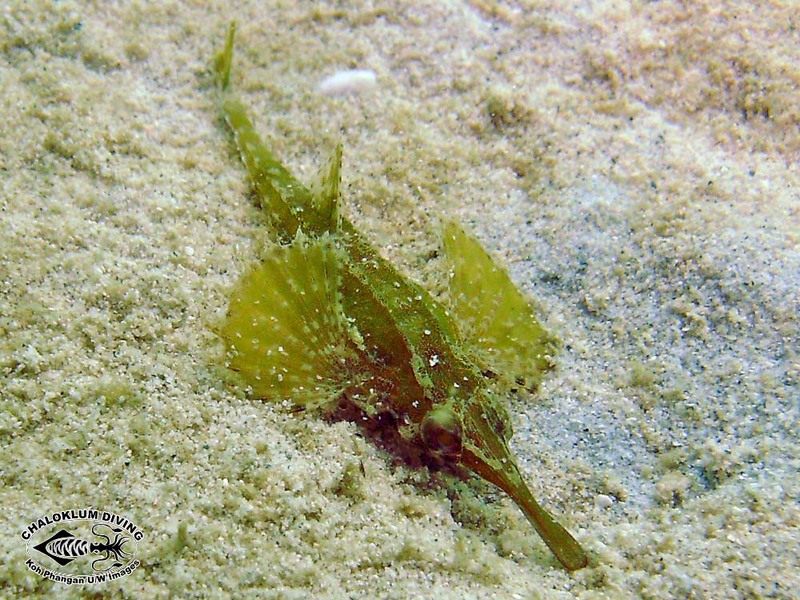 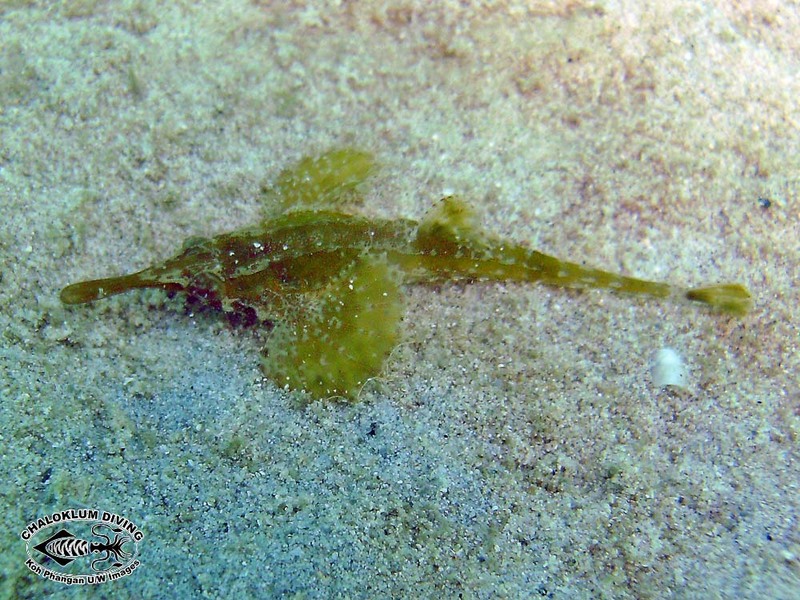 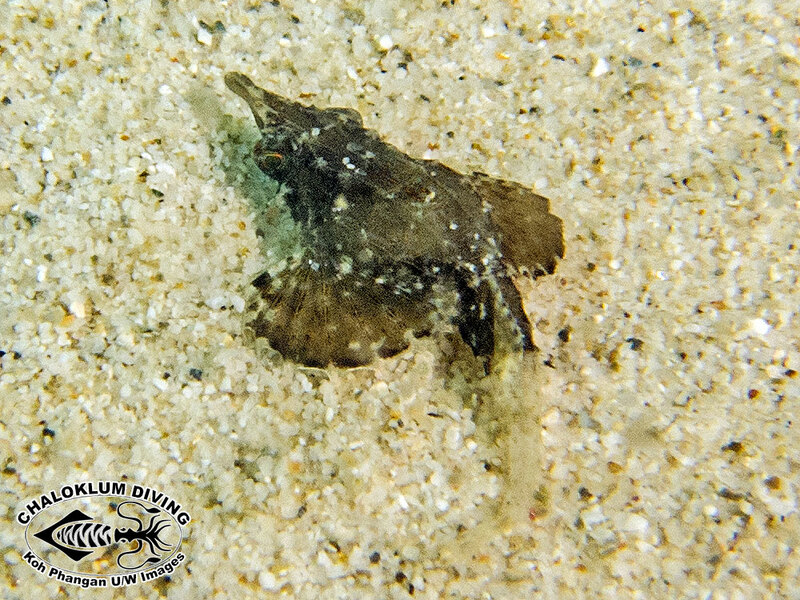 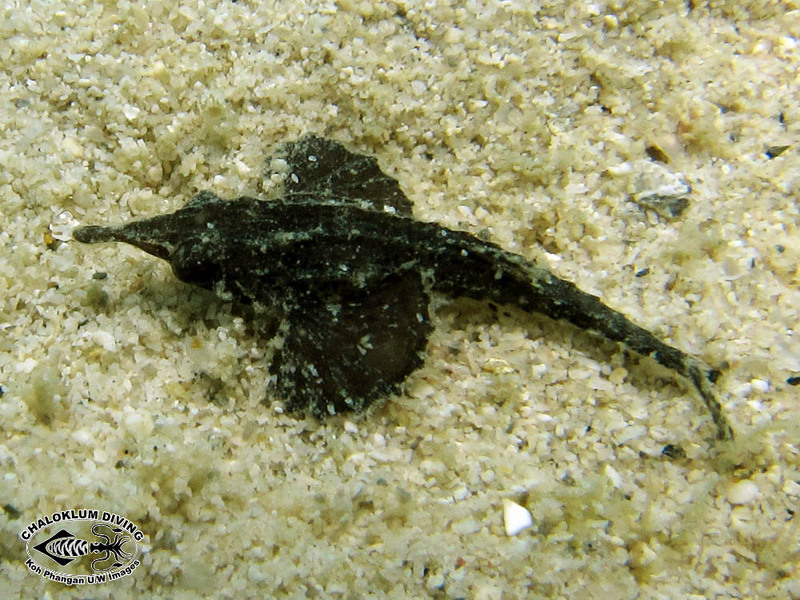 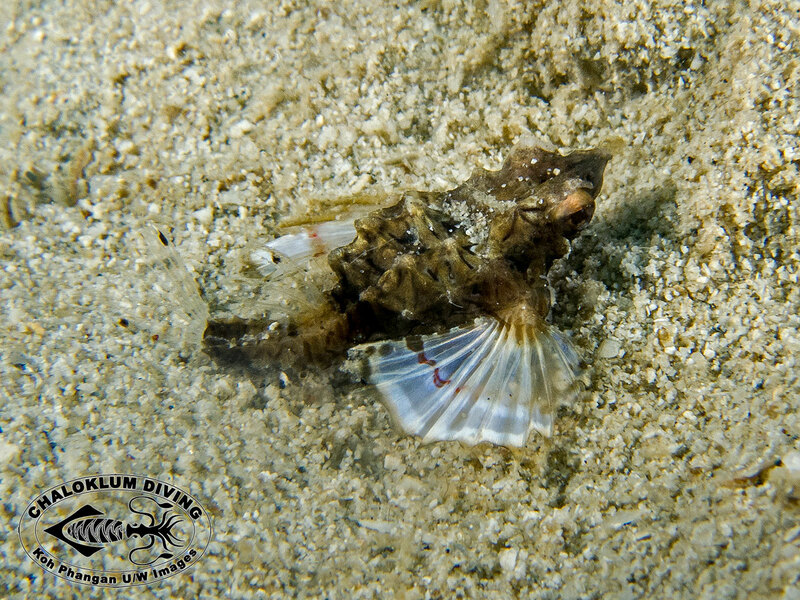 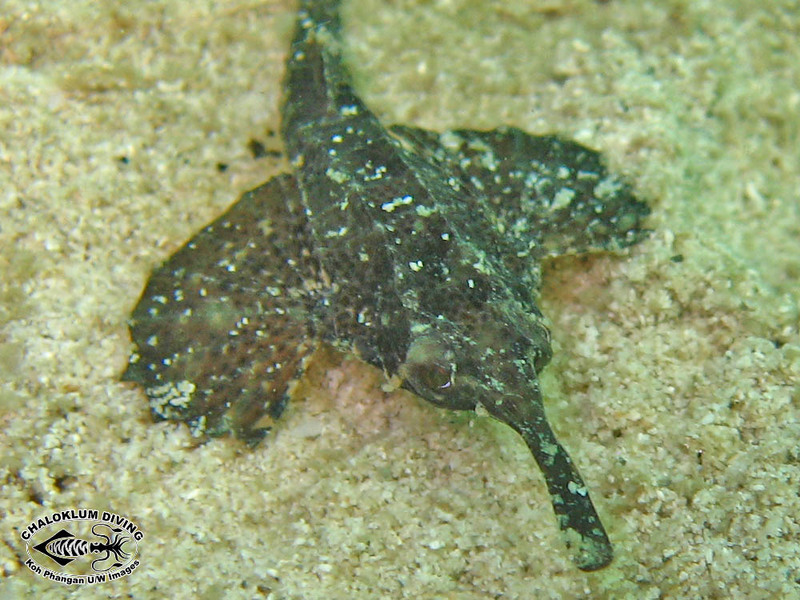 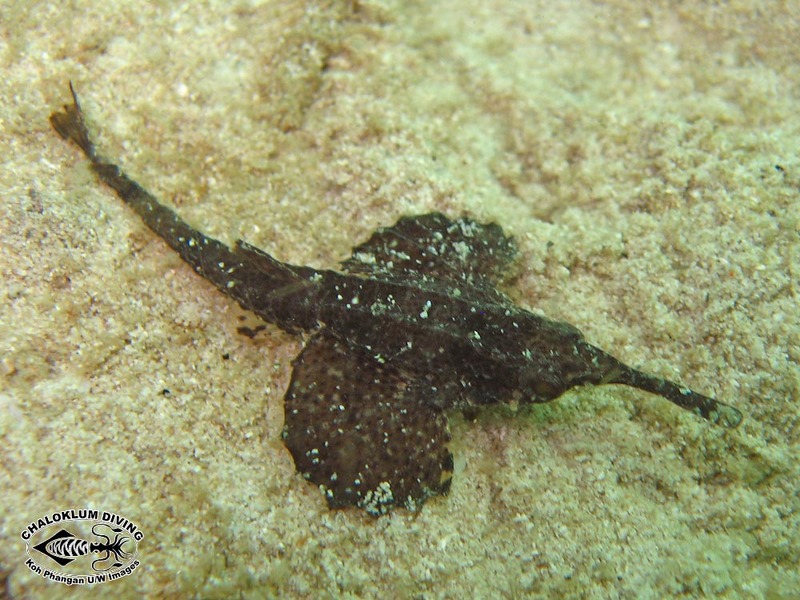 Koh Phangan has 2 species of Seamoth – the Slender Seamoth, Pegasus volitans and its not-so-common relation the Brick Seamoth, Pegasus laternarius. 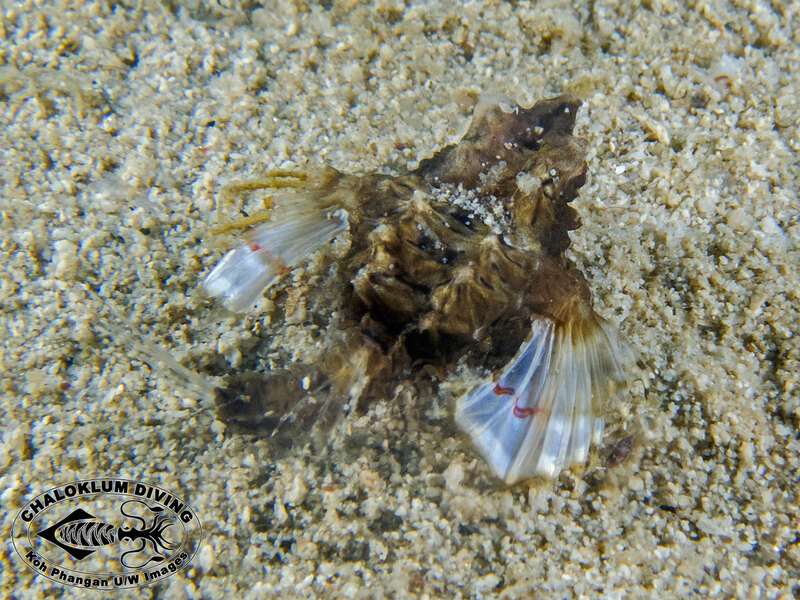 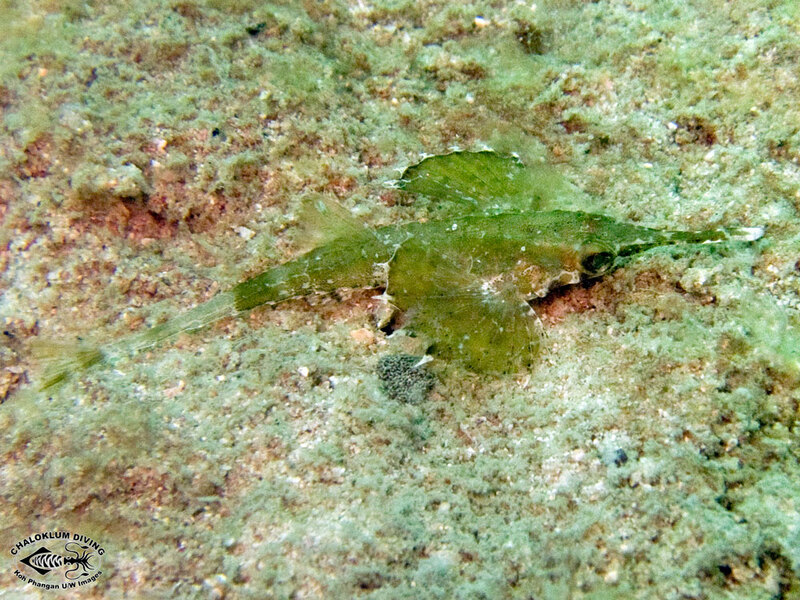 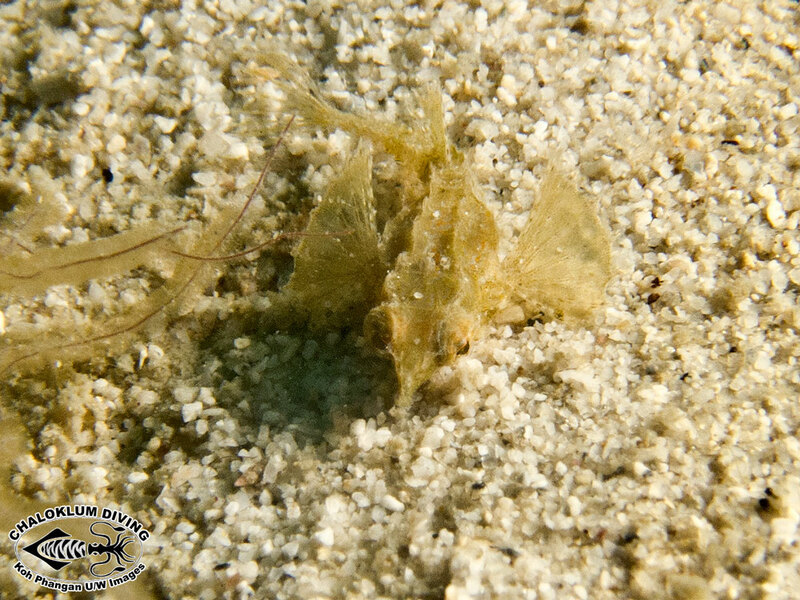 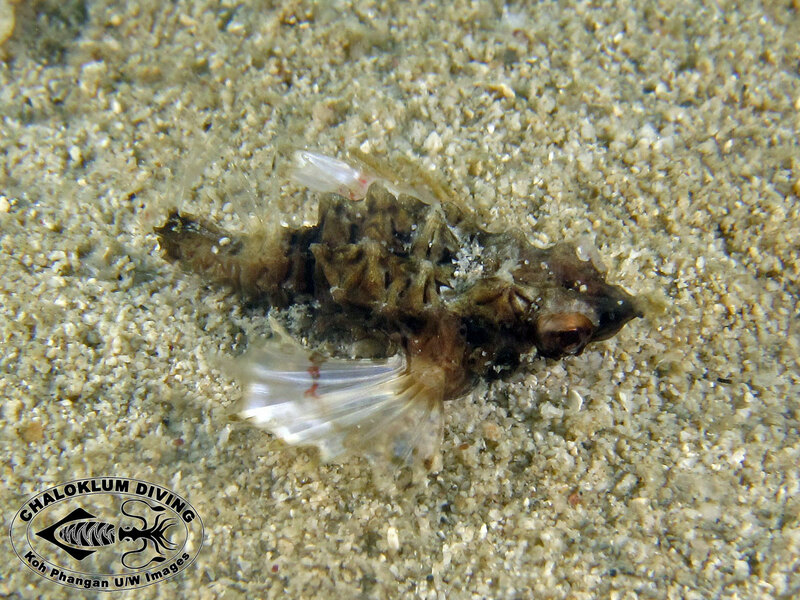 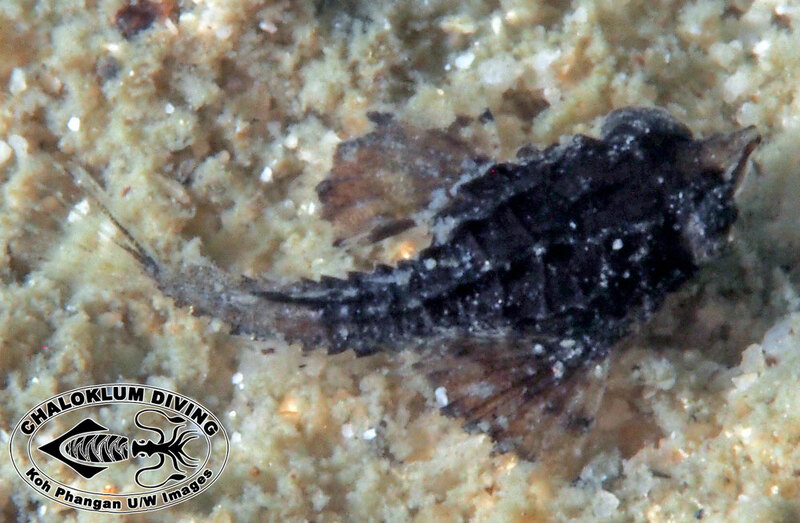 We find them only at local dive sites, when we’re out scuba diving over the sand. 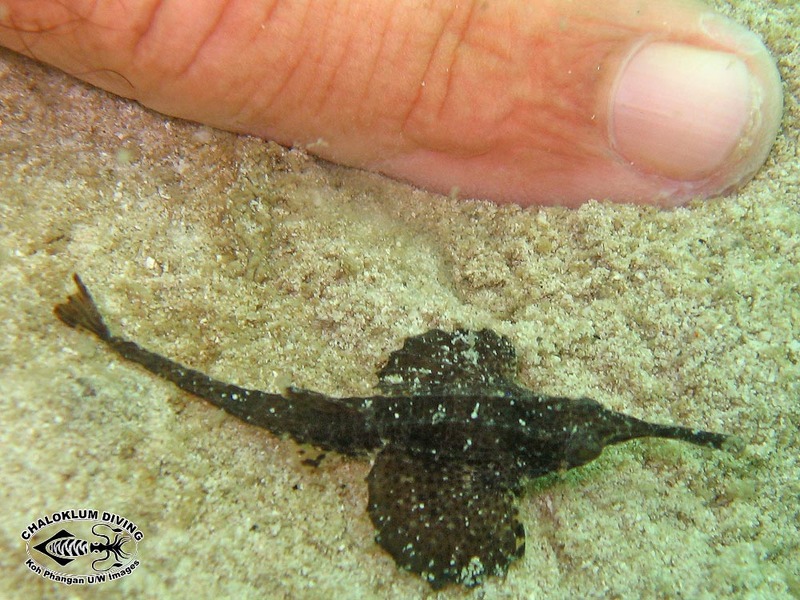 They are all small in size and from a dark brown to a light green in colouration.